I don’t recall a specific moment in my life when I thought to myself “I want to be a social entrepreneur”. But I have been involved in social activism from an early age. At 13, I started a campaign at school to provide supplies for children living in rural areas of Argentina. Since I left school, the campaign is still going strong and has helped more kids than I could ever have dreamed of. Once high school was over, I decided it was time for me to go out to the slums and give my support to people in need. Although I was passionate about helping others, I had little money and no contacts. This made me realise that my most important asset was my knowledge and education. What children need today, in slums and elsewhere, is an education that will provide them with the self-confidence to go into the world and become Changemakers. And that is exactly what I hope to give them with Orillas – Orillas is an NGO that gives educational support to children living in deprived areas of Argentina. 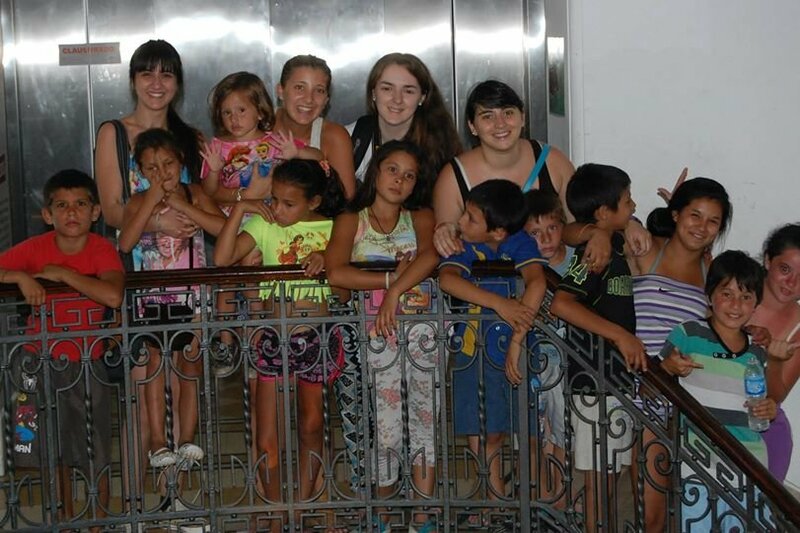 I grew up in a vulnerable area of Rosaria, Argentina. As a child, I was always told the importance of education to succeed in life. My mother continued studying while working as a housekeeper, because she understood her professional potential and the importance to learn. I have also always believed in the importance of helping others in need – even more so when you have lived in similar situations. Today, the proportion of people living in poverty is on the rise in Argentina, reaching almost a third of the current population. Meanwhile, education is no longer considered as a priority and an essential tool to improve quality of life. It is too often envisioned as a formality to which families comply in order to receive government subsidies. It is in this very sensitive context that Orillas was founded in 2011. 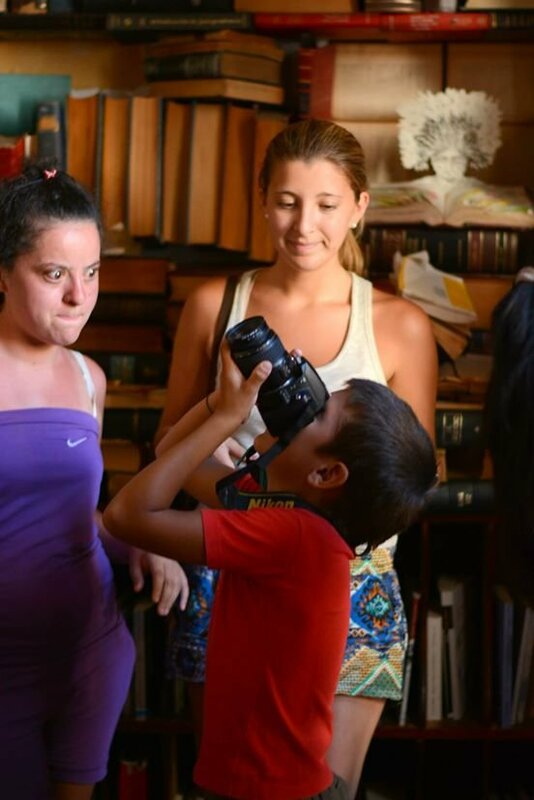 Orillas convenes University students to make education accessible to those in need. 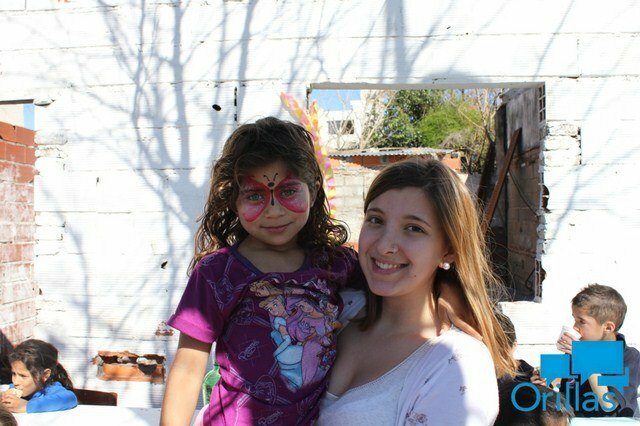 Funded by donations from private and corporate sponsors, the NGO is teaching young children how to read, write and develop their skills in a variety of subjects from math to art and photography. 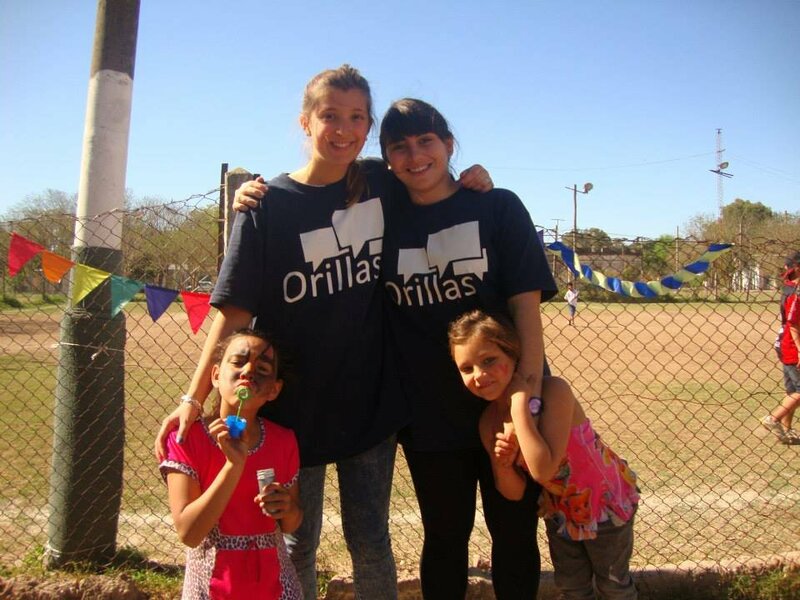 Orillas also organises activities to integrate children into society, from taking them to sport clubs and museums to bringing them to the capital, Buenos Aires, where they can interact with people from outside their community. This picture with Carolina Roldan, co-founder of Orillas and current president was taken in the neighbourhood where we were able to build a classroom. It is there that most classes and workshops are held. The workshops are essential to the children joining the Orillas programme. It is a moment of peace, a moment free of violence, in a constructive environment that differs from their daily surroundings. It is not always easy to approach the children from the neighbourhood and building trust is crucial. 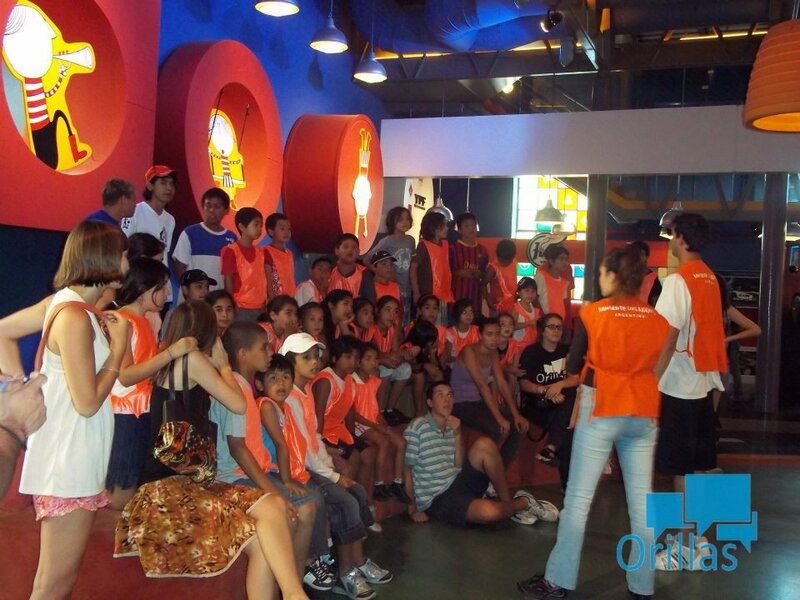 The way Orillas works is through games and activities involving art. We then get to know the families and can understand individuals personal stories. The life of a social entrepreneur can be very lonely. On this particular occasion, I attended a program for young leaders from around the world. It was an eye opening experience. 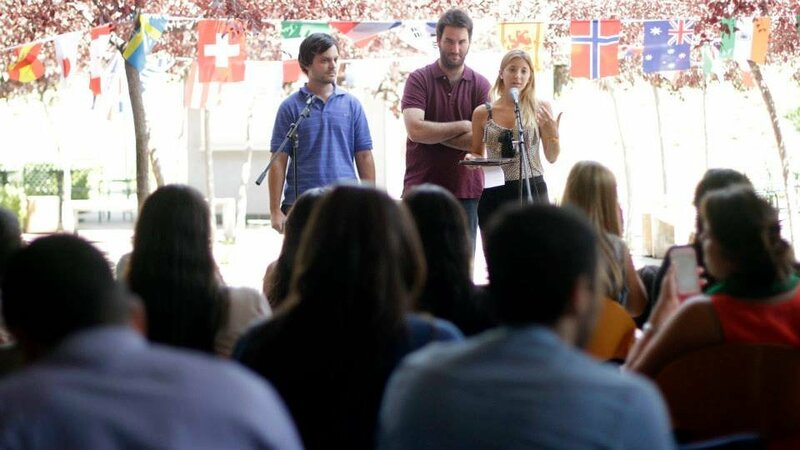 I met young social entrepreneurs who stopped at nothing, despite a very hostile environment. It taught me that if they can achieve so much in such a difficult context, I had no excuse to give up on my social actions. Being a social entrepreneur is about sharing knowledge and skills to help overcome difficulties and in turn, meet like-minded people. From my personal experience, I advise any young social entrepreneur to take every opportunity he or she has to share their project, and learn from others. Working with Orillas has been an amazing experience so far. It has filled me with a sense of purpose and taught me a lot. But the most fulfilling experience of all is the ability to convey essential values to these children and fill them with the confidence and enthusiasm needed to become a true Changemaker. It is crucial for these youngsters to realise their transformative potential and the impact they can have on the world. By passing these entrepreneurial principles onto them, Orillas is giving the opportunity to become active agents of change and lead their families and their community towards a better life. - By Camila Burne, co-founder of Orillas and an Ashoka Changemaker participant. Every month, we are pairing up with Ashoka to feature the most inspiring young Millennials who are transforming the world for the better and leading the way for a new generation of Changemakers... watch this space!